Coming from the same Camelia Sinensis plant, tea can be processed and blended to create thousands of unique flavors and a number of potential health benefits. Wayne's Weekend: The varieties and benefits of enjoying tea. It's a royal wedding weekend and since folks all over the United Kingdom are brewing pots of tea and enjoying the festivities, I thought this would be a great opportunity to talk about tea on this side of the pond. Beyond just an enjoyable beverage, tea is high in anti-oxidents and has been shown to potentially carry health benefits. 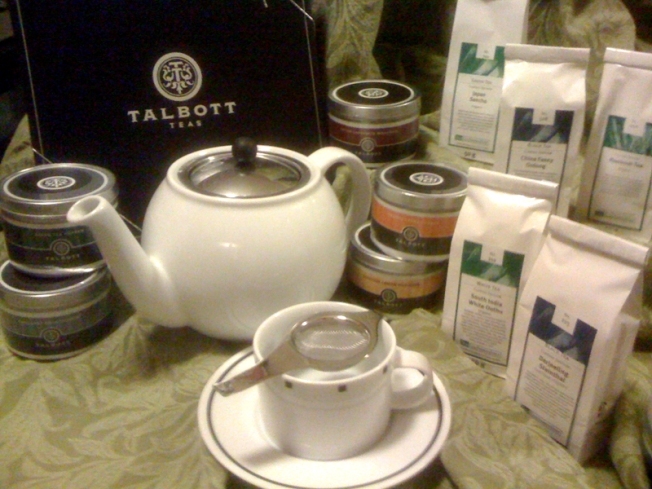 I was fortunate to visit with Shane Talbot at Talbot Teas and Krista Kane at TeaGschwedner and get a great deal of information about the various types of teas, their benefits and recommended preparation methods. The main varieties of tea include black, green, white, yellow and oolong. But, all of these teas come from one plant, the Camellia Sinensis. For variation, though, tea makers all over the world have developed hundreds of hybrids and subtypes (knows as cultivars). They have bent the plant to their whims, adapting it to their local environments. Through agricultural and manufacturing expertise these artisans have coaxed out countless nuances of flavor. Much like wines, the environment, from soil to weather, has a significant affect on the flavor of tea. Also, red teas, from the south African Rooibus plant, are not a traditional tea because the don't come from the Camellia Sinensis. But, their benefit is that they also contains anti-oxidents without containing caffeine. Wayne shows the benefits of drinking tea. Tea expands during the brewing process. As a result, using loose tea can often generate the most flavorful results. Using a tea press pot is one of the most efficient methods. The tea is allowed to expand in a large volume of water and then the process is halted simply by pressing the leaves to the bottom of the pot. Also, brewing temperature and time have an affect on the flavor. You'll find temperature and brewing instruction with most higher end teas. For example, a green tea is often brewed, or steeped, for a much shorter time than with black tea and should be brewed using hot, but not boiling water. The Rooibus tea is brewed for a much longer time in boiling water to fully bring out the flavor. All teas from the Camellia Sinensis start off high in anti-oxidents. The Rooibus, not from the Camellia Sinensis as noted above, is a caffeine free source of anti-oxidents. Though some of the most important anti-oxidants that the tea plant contains are compromised during the black tea fermentation process, theaflavins, which remain intact even after fermentation have been shown to scavenge abnormal cells and dispose of them before they can do damage or mutate into cancer cells. Theaflavins are also known to inhibit oxidation, particularly the oxidation of LDL cholesterol. This gives black tea the health benefit of potentially reducing blood cholesterol and thereby reducing the risk of cardiovascular disease. A study in Germany found that drinking black tea significantly improved the ability of the arteries to relax and expand in order to maintain healthy blood pressure. Over the last few decades, many scientific and medical studies have been conducted to determine the extent of the long purported health benefits of green tea. Early evidence suggests that the health benefits of drinking green tea include a lowered risk of heart disease by inhibiting the oxidation of LDL Cholesterol, potentially reducing the buildup of plaque in arteries. Green tea contains many anti-oxidants, including flavonoids, which protect against free radical damage to the brain. Research indicates that green tea may also be beneficial in reducing inflammation related to arthritis and slowing cartilage breakdown. Another health benefit of green tea is the fact that it improves bone mineral density in older women. Additionally, green tea may help to regulate glucose in the body as well as boost metabolism and burn fat. Red Rooibos tea health benefits include soothing upset stomach, aiding digestion, calming nervous tension, lowering blood pressure, and providing relief from allergies such as eczema. The many health benefits of Rooibos tea are just beginning to be validated and appreciated. An herbal infusion rather than an actual tea, Rooibos provides many of the benefits of Camellia Sinensis without the caffeine. Rooibos is popular among athletes, who drink it to benefit health. Rooibos tea is a rich source of minerals, which get depleted from athletes' bodies after a workout. Three grams of rooibos in 8-ounces of water contains: 1.09 mg of calcium, 0.22 mg of fluoride, 0.07 mg of iron, 1.67 mg of manganese, 7.12 mg of potassium, 6.16 mg of sodium and 0.04 mg of zinc. Rooibos is also very low in tannins, which are said to inhibit the absorption of protein and iron. Beyond basic teas, many blends have been created to further expand the taste profiles and possibilities available today. 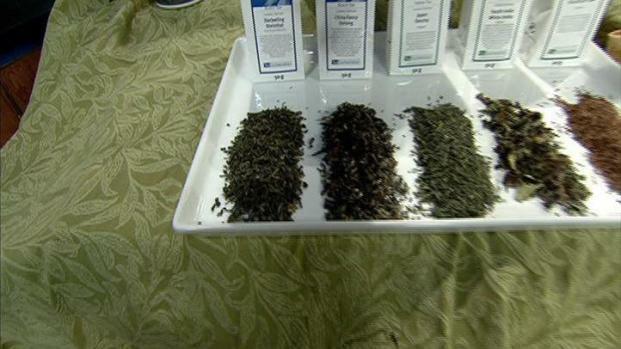 Blending teas from different regions or adding other herbs and flavors allowed producers to expand and provide a multitude of flavor combinations. Just like wines, the best tea is the one whose flavor you enjoy most. So, check out the various flavors and blends available to find your favorites. And, ask questions of your tea purveyor, either in your local store or online. From just working on this segment I have a new appreciation for both the variety of flavors and the potential health benefits available with many varieties. TeaGschwendner has a retail store at 1160 N. State Street in Chicago and is available online at www.tgtea.com. If you have any comments or questions, please send me an email at wayne@waynesweekend.com or follow me on facebook. *Although a great deal of information about the benefits of tea have been posted from medical studies and research, this article is not meant to recommend tea as a cure or remedy for any health problems. Please consult a physician to ensure that drinking tea will not adversely affect your health or medical condition.